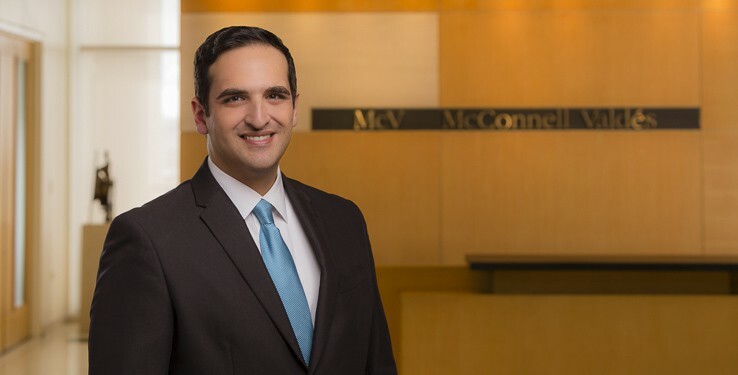 Mr. Muñiz represents clients in all phases of tax controversy and litigation matters, from tax audits and examinations through administrative appeals and court proceedings. His solid tax litigation practice combine litigation and substantive tax experience to assist clients in effectively anticipating and planning for future controversies. He actively participates in multiple tax litigations representing clients on wide arrays of tax challenges, including: municipal license tax, income tax, personal property tax and construction excise tax deficiency procedures. He also has extensive experience representing taxpayers during the real property tax assessment procedures and during the subsequent administrative and judicial challenge on the tax impositions. He has obtained successful negotiations and settlement of tax disputes with all Puerto Rico taxing authorities. He also advises clients in connection with a broad range of tax matters, including corporate income taxation, tax incentives laws and state and local taxes, such as personal and real property tax, excise tax, sales and use tax, and municipal license tax. Mr. Muñiz, a Certified Public Accountant, is past director to the Board of Governors of the Puerto Rico Society of Certified Public Accountants and former President of its Regulations Committee. He is also an active member of the tax committees of the Puerto Rico Manufacturer’s Association and the Puerto Rico Chamber of Commerce. He has been a guest speaker at seminars and tax forums sponsored by the Puerto Rico Society of Certified Public Accountants, on a wide range of topics including: choice of entity, LLC’s in Puerto Rico, property tax, municipal license tax, sales and use tax, and recent developments in Puerto Rico tax law and jurisprudence. Also, he published “Perspectiva General Y Trasfondo Histórico De La Contribución Sobre La Propiedad Inmueble En Puerto Rico: El Punto De Partida Hacia Una Reforma” 48 Rev. Jur. U. Inter. P.R. 443 (2014). Prior to joining McConnell Valdés in 2005, he practiced as a tax associate in the Tax Department of KPMG LLP in San Juan, Puerto Rico. Leading role in real property tax litigations for clients in the manufacture and pharmaceutical industries obtaining significant tax savings through successful settlement negotiations. See Lifescan Products LLC v. Centro de Recaudación de Ingresos Municipales, 193 DPR 591 (2015). Representation of multiple tax payers during tax audits conducted by the Puerto Rico Treasury Department, Municipalities, and the Municipal Revenue Collection Center (“CRIM”). Representation of taxpayers during complex real property tax assessment procedures and during the subsequent administrative and judicial challenge of the related tax impositions. Defending taxpayers during administrative and judicial tax deficiency proceedings on income tax, municipal license tax, property taxes, and construction excise tax. See DuPont Agricultural Caribe Industries v. Municipio de Manatí, KLAN 2015-00150 (October 15, 2015).